As one of the most well-known and influential fly fishing personalities of all time, Bob Clouser has played a key role in the evolution of our sport. Whether hes guiding, designing innovative new fly patterns, or teaching fly casting and tying, he tirelessly devotes himself to sharing his knowledge and expertise with others. 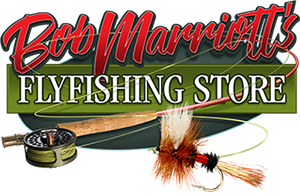 Driven by this passion to better his fellow angler, Bob has combined his wisdom and experience to design a rod series that is exceeding the expectations of anglers around the globe. Bob designed his popular family of rods using cutting-edge materials and technology. The Clouser series of fly rods are lighter, stronger and faster... Oh, and theyre nine feet in length. Powerful enough for casting weighted lines and wind-resistant flies, yet delicate enough to protect fine leaders, the Clouser rods are perfect for every species, from trout to false albacore. With so much performance and versatility, the Clouser series is certain to improve the efficiency and enjoyment of every angler. The Clouser series midnight blue blanks are tipped with gold lettering and copper accents. Tactical Series stripping guides, ultra-lightweight chromium-impregnated stainless snake guides, and select-grade cork grips further adorn these handsome rods. 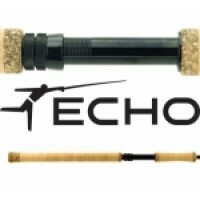 Starting at $209.95, these four-piece rods will impress even the most value-conscious consumer.